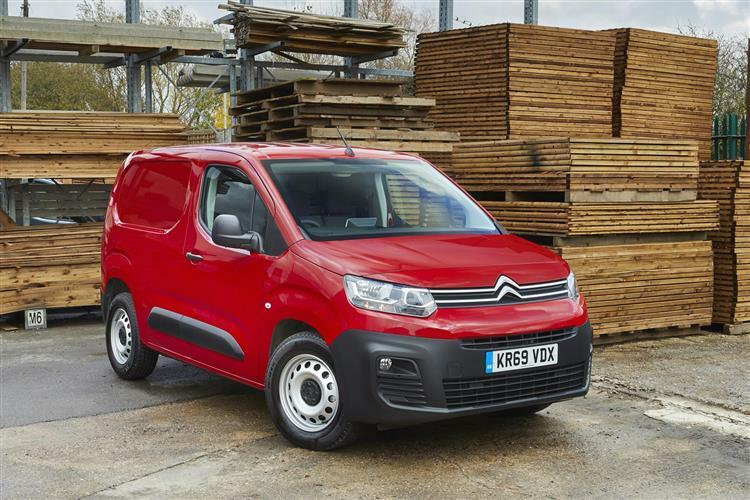 Citroen's much improved third generation Berlingo remains one of the market's best selling compact vans, offering a usefully large payload capacity and a maximum load volume of up to 4.4m3. It's now smarter looking than before and gets some extra hi-tech, plus there's a fresh range of clean and frugal Euro6 BlueHDi diesel engines. The idea is to rejuvenate this model's buying proposition and on paper at least, the prospects are promising. 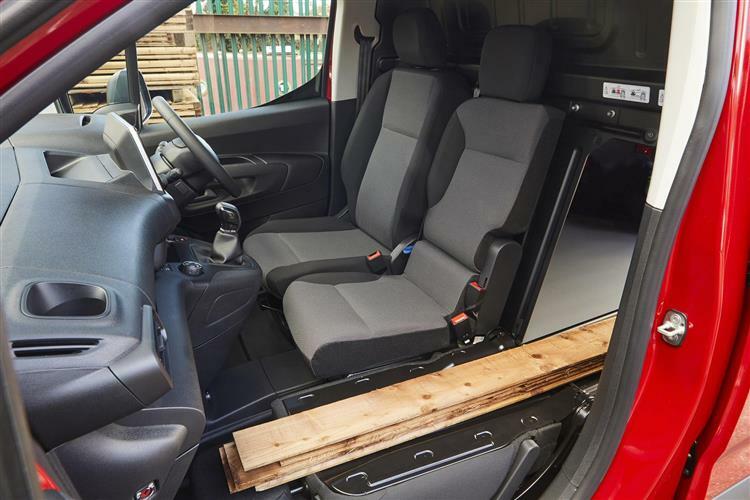 Think of a compact but spacious van and it's really quite likely that you'll find yourself considering this one, Citroen's Berlingo. 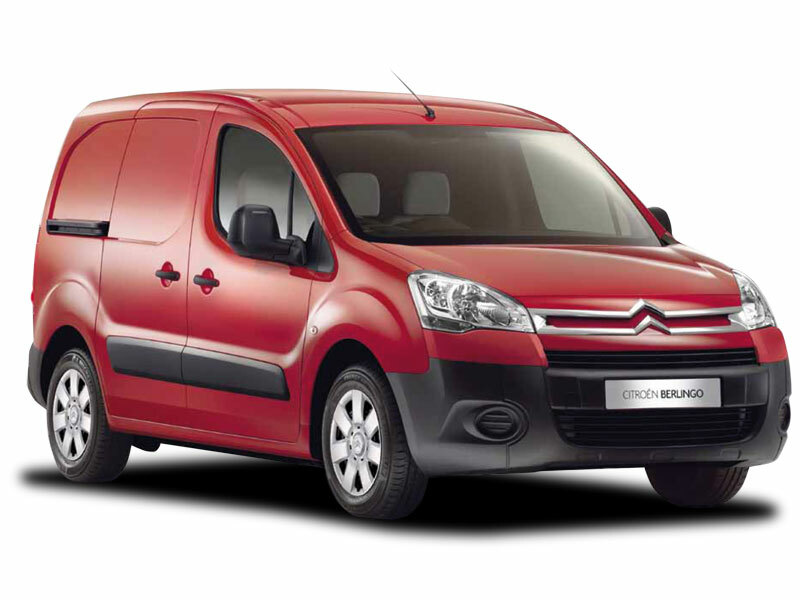 It's the kind of van you buy if your business needs a compact LCV that isn't quite as small as a modern cityvan-sector model would be - something like Citroen's own Nemo. Vehicles like that are based on superminis: Berlingo-type models, in contrast, sit upon the more spacious platforms originally developed for family hatchbacks or small MPVs. The platform in question in this MK3 Berlingo is the PSA Group's modern 'EMP2' chassis, which also now underpins two of this model's closest segment competitors, Peugeot's Partner and Vauxhall's Combo, both rivals that also share this Berlingo's engine range and much of its design technology. It's Citroen though, that has the most heritage in this sector. This was the first brand to introduce a diesel powered LCV, the first to launch a van with an integrated load area and the first to launch an LCV model with three seats in the cabin. Building on this strong heritage, this MK3 Berlingo Van marks the renewal of a best-seller. 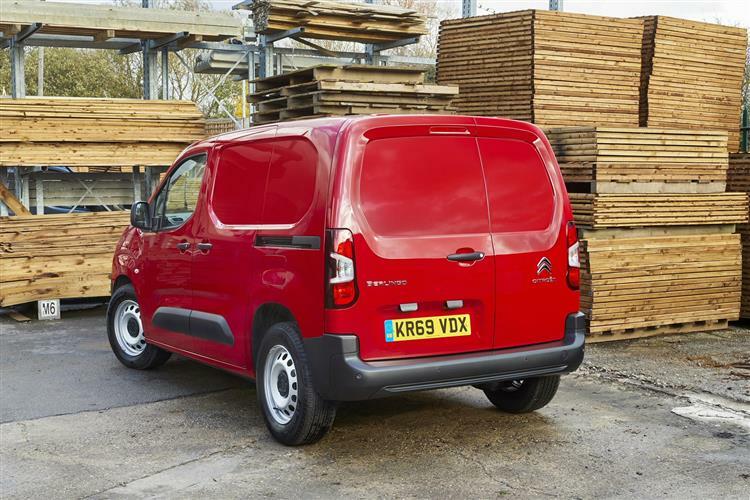 This time round, the Berlingo van sits on the PSA Group's more sophisticated, lighter 'EMP2' platform and uses an efficient set of diesel engines. There's the familiar 1.6-litre BlueHDi unit as before, offered in 75 or 100hp guises. More modern though, is the 1.5-litre BlueHDi powerplant, which comes if you're able to stretch up to a 130hp output. The top 130hp engine is offered with the option of EAT8 auto transmission. 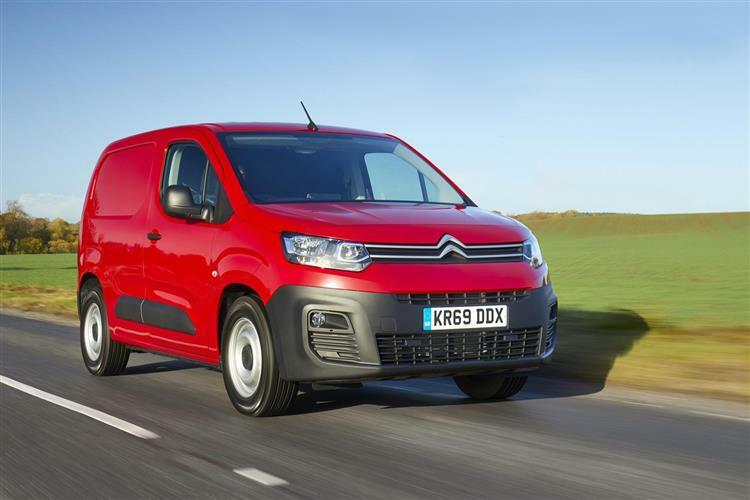 Citroen reckons that this is the most comfort-orientated compact van you can buy, thanks to its 'Advanced Comfort programme' development. This is based around special cushioned seats, top-level acoustic treatment and special suspension settings designed to filter out bumps you'd really feel on rival models. Another clever touch is the 'Magic Wash' function that maintains visibility during window washing and halves the amount of liquid required. As before, a Grip Control option is available on some models to increase traction, incorporating hill-start assist. We like the new 'Flankguard' feature which informs the driver of the proximity of objects to the side of the manoeuvring vehicle by memorising the data recorded by sensors located in the front and rear bumpers, combined with the vehicle trajectory. The design of the Berlingo has changed substantially since this model was first introduced in 1996 and changes again with this third generation model which gets a more expressive and distinctively Citroen front end with a short and high bonnet that borrows from the look we first saw used by the current larger Citroen Dispatch model. 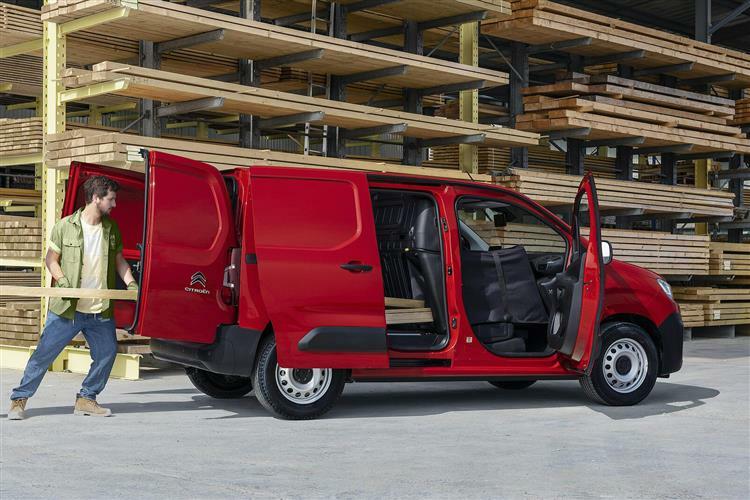 As before, there are two Berlingo body styles to consider and both are on the large side of what we expect from a compact van. The M version measures 4.40m long with a 2.78m wheelbase, while the longer XL version measures 4.75m long with a 2.97m wheelbase. Inside, the cabin has been completely redesigned, with a more modern and less cluttered dashboard, a multi-function steering wheel and the option of a colour Head-up Display. Smarter materials are used across the fascia, the central console, the doors and the seats and the cabin features a hardwearing TPO floor covering that can be cleaned quickly and easily. As before, Citroen is offering its so-called 'Extenso Cab', which gives you a three-person front layout, with the central seat able to transform into a mobile office with a pivoting writing table. The set-up features a folding side passenger seat providing optimal load length and increasing load volume from 3.3m3 to 3.8m3 in size M, and 3.9m3 to 4.4m3 in size XL. As you'd expect in this class, a Crew van' body style is also available with a fold-out second row bench. This MK3 model Berlingo van is priced very similarly to its predecessor, which means that most variants will price in the £16,000 to £23,000 bracket (excl. VAT) across the two body lengths (size 'M' and size 'XL'). Citroen is offering four main Berlingo van trim levels (X, Worker, Enterprise and Driver). These are available with features like acoustic enhancements, dual zone air conditioning, seats with lumbar adjustment, automatic headlights and windscreen wipers, cruise control with a speed Limiter, an electronic parking brake, Surround Rear Vision camera system and an 8-inch colour touchscreen with Citroen Connect Nav and DAB radio. The 'Worker' variants are designed for slightly more arduous delivery terrain like building sites. To better cope with this, the ride height of these derivatives is increased by 30mm and a protective plate under the engine is added. Plus there's a Grip Control with Hill Descent Assist set-up for extra front wheel traction in slippery conditions. This more robust model gets large wheels fitted with Mud and Snow tyres, an extra payload capacity of up to 1,000kg and a Loading Pack with enhanced LED lighting in the load area, plus an overload indicator, 12V and 220V power sockets and mid-height load securing rings. 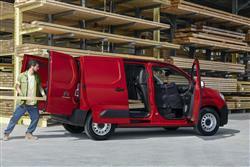 This Berlingo Van is available in a variety of configurations, with one or two sliding side doors. At the rear the van is equipped with 60/40 split unglazed rear doors, which open to 180-degrees. Thanks to this third generation model's new EMP2 platform, a larger payload is possible this time round (from 650kg to 1,000kg). New for this MK3 design is a neat 'Overload Indicator', which informs the user when they approach, or exceed, the authorised weight limit. The load volume is 3.3m3 in size 'M', or 3.9m3 in size 'XL', figures you can increase respectively by 0.5m3 if you utilise the extra loading length of the 'Extenso' cab and push longer items through into the driving area. 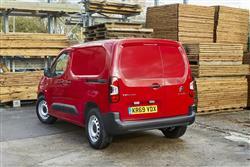 The cargo bay has a usable length of up to 1.81m in size 'M', or up to 2.16m in size 'XL'. This Citroen retains a usefully wide width between the wheel arches (1.23m) that makes it possible load up to two euro pallets. As usual, an optional plywood lining (floor and side panels) is available for enhanced load area protection. The maximum braked towing weight for the model is 1,500kg. Running costs remain competitive. The popular 1.6-litre BlueHDi 100 diesel model manages over 65mpg on the combined cycle and around 112g/km of CO2. 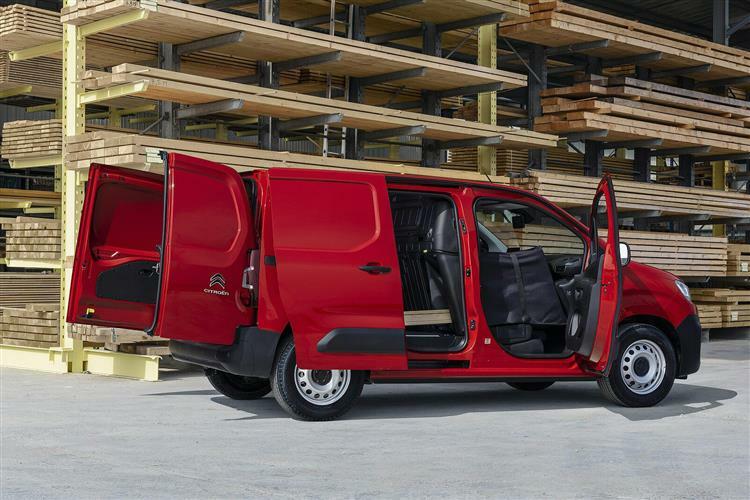 Van designs have long shelf lives but are intensively developed prior to their original launch, a process perfectly showcased by this much improved third generation Berlingo. It's a product usefully refreshed in almost every major area. The looks and the cabin are much more modern, as is the infotainment and safety provision. Plus, as before, you get very class-competitive payload and carriage capacity figures, plus there's the flexibility of the Extenso modular seating system and an unbeaten set of running costs if you opt for a BlueHDi engine. Add in a very comfortable ride and one of the widest choices of factory-built models in the class and you've a strong business proposition. Strong enough to rejuvenate this Berlingo's buying proposition in this closely-fought market segment? Very possibly, providing Citroen can properly communicate everything this van has to offer to business buyers. Quite simply, it delivers more of what really matters.